Pro Design Services can do any CAD conversion and redrafting service for its customers, no matter what the volume is. We can quote any of your jobs based on a fixed price per sheet content, depending on sheet size and complexity. All drawings are redrafted from 3D models that we will create for you, at no extra charge, with accurate dimensions and notes, ready to use in a CAD format. 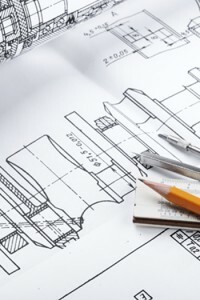 This service is ideal for legacy manual drawings which need major modifications for use in new design projects, and for converting old paper drawings to CAD, or from one CAD software to another. Our clients get significant discounts for larger orders. The drawings will be created based on client’s drawing standards for line colors, layers, title blocks, drawing borders etc. Our team will assure the highest degree of quality and accuracy for each converted CAD file.